This year I'm taking part in the Iron Craft Challenge over at Just Crafty Enough. Basically a new challenge is given each fortnight and then you post a photo of your completed craft on the group Flickr page. I was looking to do a weekly/monthly type craft challenge and a friend of mine who has participated in Iron Craft in the past recommended it to me. I am so excited!!!!!!! As this year is the 4th anniversary of the challenge running, the first challenge of the year was to create something around the theme of 4th anniversary gifts - either traditional, which is fruit or flowers, or modern which is appliances. 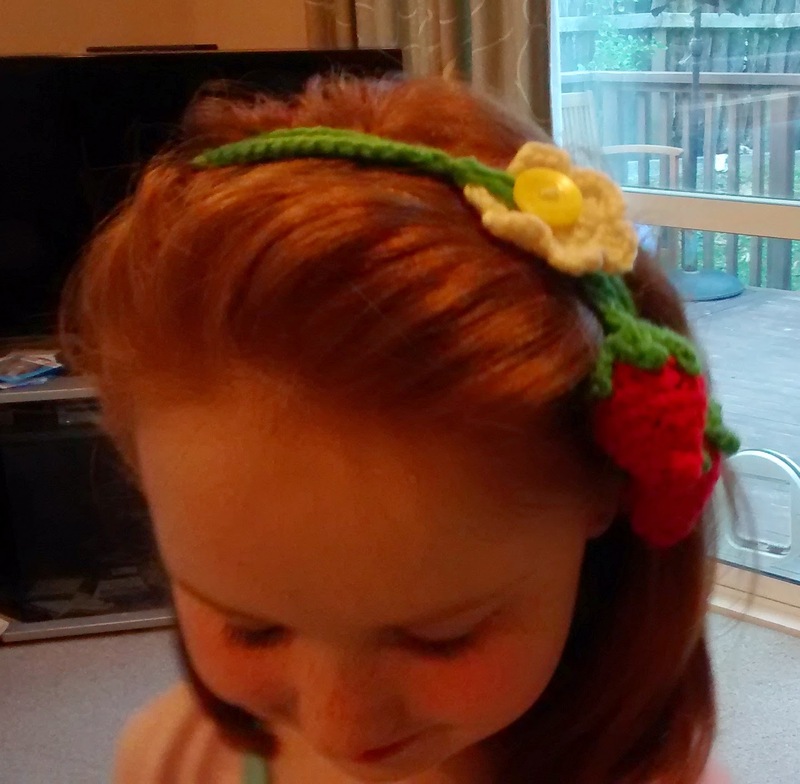 After a little bit of thought (and some Pinterest browsing) I came up with this crocheted strawberries headband. 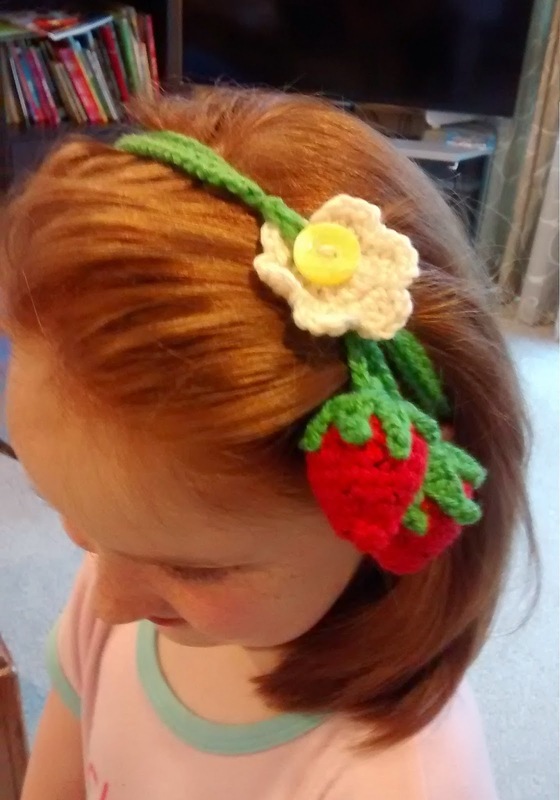 I based the strawberries on this strawberry pattern (but downsized it slightly), and the blossom was based on the first part of this simple flower with the addition of a button sewn into the middle. I attached them to a long chain stitch that wrapped around the little miss's head three times and made a loop in the end opposite to the flower so that it could hook over the button.